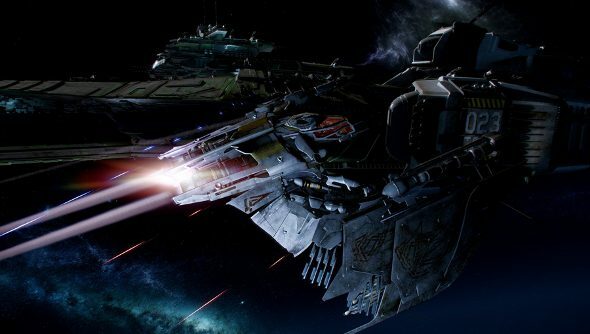 Having just reached a mind smearing $50 million in funding, Star Citizen is now far and away the most successfully Kickstarted game project in history, easily surpassing the Dizzy, Bomb Jack and 3D Monster Maze fundraisers. With the money he’s amassed, Chris Roberts could buy a T-rex skull and still have enough cash left over to buy a dinosaur-sized crown for it to wear. He could build a house and then knock it down, for a laugh, every day for a thousand years. Luckily for Star Citizen backers however, Chris and his team are instead hard at work developing all new $350 spaceships with barely functioning interiors and no means to actually pilot them. Hey, one day perhaps! But since hitting their most recent milestone, developers Cloud Imperium have seemingly run out of stretch goals to offer players. Reaching $50 million rewarded players with three unique alien languages for the game’s three unique alien races, each one designed and crafted by professional linguists. But what will we get at $60 million? And what will drive loyal backers to $70 million? Cloud Imperium haven’t yet decided, so here are some suggestions, from me! Every player gets a personal robot assistant who will stand next to you and scream constantly as you fly through space. The faster you go, the louder your mechanical friend will scream. He will have literally no other function, and his is the only audio slider on the menu screen that is greyed out. Most aliens will now wander around shrugging if you attempt to speak to them in anything but their own unique, linguist-designed languages. Some aliens will speak back to you in loud, broken English, giving you directions to local swimming pools. All the spaceships now have on-board gravity. 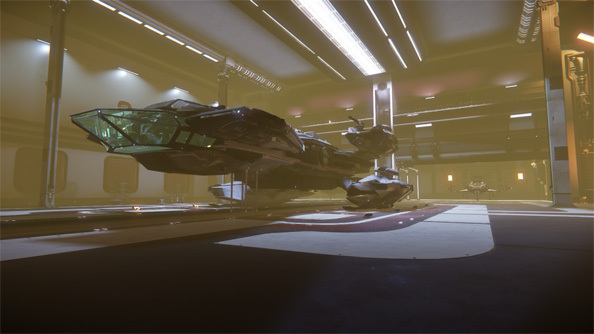 Ship interiors are now even more detailed, floor mats must be properly adjusted before lift-off to avoid them flying around the cockpit during dogfights. The ability to open the hangar door of your spaceship showroom by about seven inches, allowing players to seebut not accessthe vast and incredible open-ended universe of potential that sits just outside. Your hangar now contains a Nintendog, which you must feed and look after. Chris Roberts himself will drive down your street in a monster truck, laughing and laughing. Additional realism: sometimes a wasp will fly into your cockpit, causing your character to temporarily lose control and skid into a black hole. All of the spaceships will be installed with overhead sun visors. Players have a 12% chance of finding a spare set of keys here, with a bonus modifier if they’re on the run from the police. Planets now have reverse sides, rather than being revealed to be hollow once you fly around behind them.